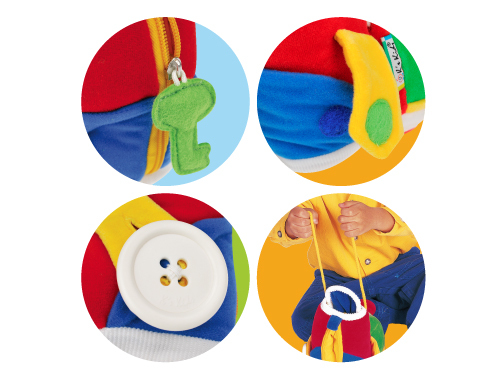 Soft activity toy with 7 educational activities - play and learn at the same time! 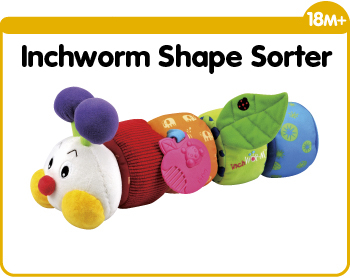 Features include: rattling nose, crunchy flap, zipper, button, squeaky body and rugged surface. Allows for shoe tying as well. Method: The shoe is made from high quality materials. It is soft and comfortable, great for hugging. Hugging also teaches children to care for others. Method: The shoe is made from different materials like cotton, plastic, satin and velour. Encourage children to touch and feel the smooth and bumpy textures. 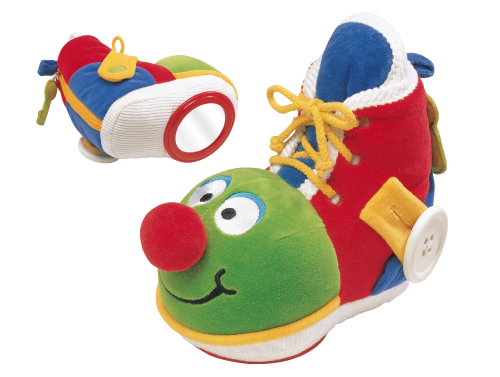 Method: The shoe is soft and great for holding and shaking. 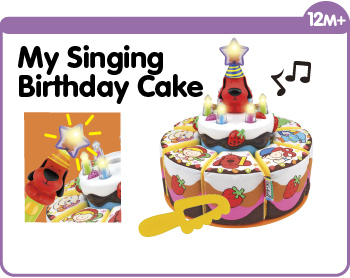 Encourage your child to shake it and to listen to the different crinkling and rattling sounds. Method: Allow your child to observe and recognize her own image in the mirror (at the bottom of the shoe). This helps develop her self-esteem. 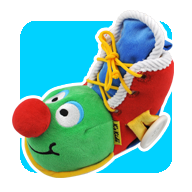 Method: Encourage children to crinkle and squeeze different parts of the shoe. This creates different sounds. There is also a zipper at the back of the shoe. Method: Encourage children to practice buttoning and unbuttoning the big white button. Method: Encourage children to practice tying the Shoelaces.